Micro-needling (or dermal rolling) was initially used as a clinical treatment for improving and reducing post-acne scarring. It works by breaking down existing scarred tissues with fine needles which stimulate skin healing and rejuvenating process. Over the past few years, it has become a popular modality for reducing the appearance of aging, lines, wrinkles and tightening the skin. The process is called Collagen Induction Therapy (CIT). Micro needling stimulates collagen synthesis, firming skin, minimizing lines, wrinkles, and scarring. Micro needling works at a dermal (deeper) level. What are Chemical Peels or AHA Peels? Chemical peels, on the other hand, are superficial resurfacing treatments and work by chemically exfoliating the skin. Chemical peels improve the appearance of the skin by enhanced exfoliation. Chemical peels work more on the surface at the epidermal level, to minimize and improve signs of clogging, congestion, acne, open pores, brown spots, pigmentation and fine lines. So when would you choose micro needling vs chemical peels? 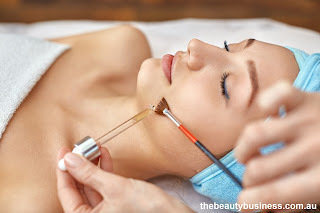 If you have post acne scarring or are showing signs of premature aging with sagging of the skin and deeper wrinkles, then I would choose micro needling. If you are showing signs of fine lines, pigmentation, uneven tone, or clogging, congestion, open pores or blackheads, then chemical peels would be more suited to you. Can these modalities be used together? Not in the same sitting, but certainly if we wish to improve the skin appearance at the surface level, we would recommend a course of peels. Following that, if the skin needs further rejuvenation treatments, tightening and reducing the appearance of deeper wrinkles, than a course of micro needling will certainly be beneficial. I do not, however, recommend these treatments as a "preventative" which is sadly sold as such too many times in the industry. Peel and micro needling are excellent modalities we use to improve skin where it needs it. But just because a person with damaged skin gains excellent results does not mean a young, healthy skin needs it as a preventative. It's like taking antibiotics when you are not sick. Instead, healthy skin should focus on "preventative" treatments such as facial treatments infusing vitamins, minerals, peptides, anti-oxidants, cleansing, exfoliating and moisturizing. Wearing sunscreen every day is perhaps one of the best "preventative" things you can do for a healthy and beautiful skin. And if you have acne, stop picking and squeezing, these are sure ways to scar your skin and then you have a major problem to treat. 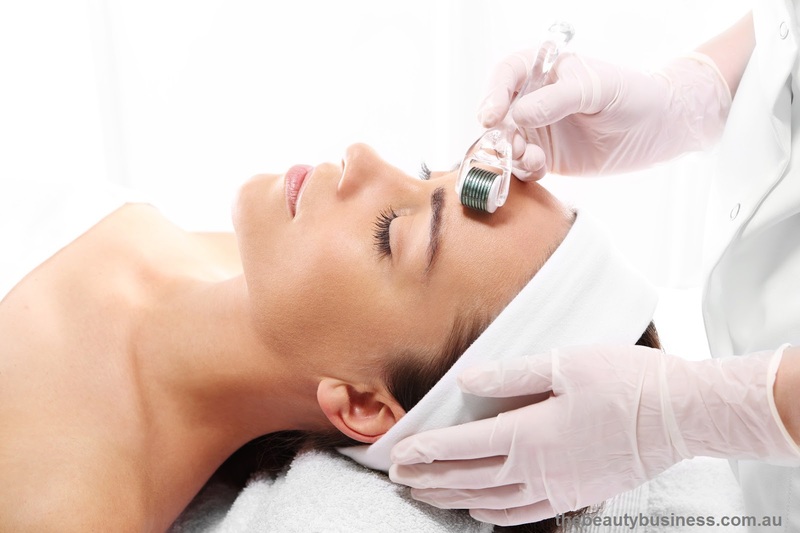 Have you had micro skin needling or chemical peels before? What was your experience like? Would you like to know more? Come on over to have a discussion on my Facebook group: TheBeautyBusinessStudents Looking forward to seeing you there! Subscribe to my newsletter to be notified on my blog updates, new podcast episodes and YouTube videos, training courses, my products & services and general beauty tips to have you looking and feeling your very best! *BONUS - Receive an invitation to join the exclusive Beauty Business private Facebook group. A place where we can interact, a go-to source for all your beauty questions! Watch the video or listen to the podcast below. Micro Needling with PRP Therapy in Dubai , abu dhabi and sharjah for Amazing Skin Rejuvenation is what you need. Are you not feeling good like always or suffering from pain or any other health-related problems then we will help you with the best solutions. Montreal international Clinic is a trusted and reputed clinic that you can find in Dubai. We have solutions for all the major and minor health issues like back pain, dental problems and so on. But for that, you need to reach us now at www.montrealintclinic.com. Take the help of our team for any support and assistance.